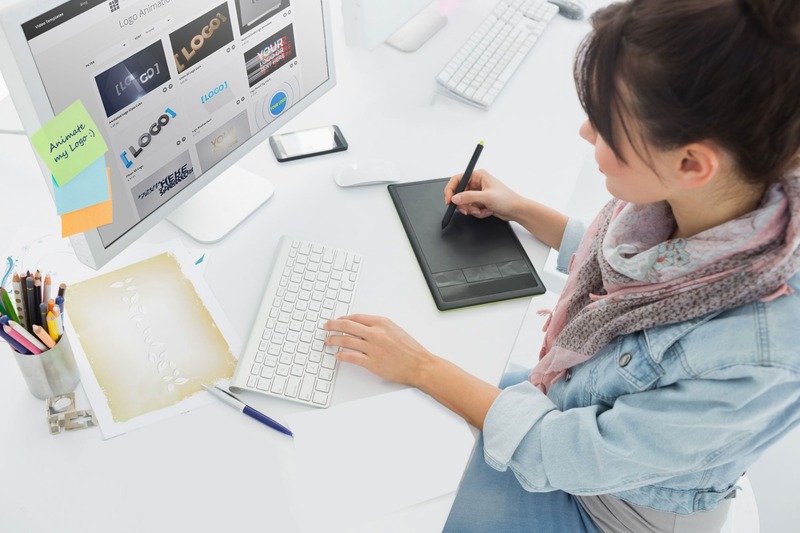 Whether you're an experienced animator or you've just about managed to create your own animated logo, animation blogs are a great source of inspiration, education, and entertainment. If animation is your passion, it's important to stay up-to-date to ensure you're on top of your game. By making a point of following influential animation blogs you'll ensure your finger is on the pulse when it comes to all the latest animation news, techniques and ideas. But, with so many blogs out there, how are you meant to know which ones you should follow? That's where we come in. So you don't have to waste time scouring the internet, here are 10 awesome animation blogs that are sure to get your creative juices flowing. The first of our animated blogs is a one-stop shop for animated music videos, TV series, movies, and short films. Established in 2007, The Animation Blog regularly puts the spotlight on the best examples of visually stunning 2D and 3D animation. And, the blog is also super easy to navigate too. With categories for all the mediums it covers, you can seek out your favorite type of animation, from video games to mixed media. The Animation Anomaly is the work of Charles Kenny, who considers himself an anomaly in the world of animation. Kenny is actually a civil engineer, and his blog makes for an interesting read thanks to his unique perspective. Expect well-written pieces discussing the future of animation and its place within the wider world of digital media. His blog also features interviews with industry experts and thought-provoking critiques. And, as a man who is passionate about learning and refining his craft, it's hard not to be inspired by Kenny's advice on how to think like an animator. Whether you're looking to improve your animation skills or pick up whole new tricks for your animation toolbox, AnimSchoolBlog is the one for you. This animation blog offers practical advice for understanding digital animation. And, each new post is full of expert advice and in-depth video tutorials. Topics range from animating tips, such as how to create 'bangin' brows' to interviews with professionals in the animation industry. Motionographer is one of the most influential animation blogs around, fulfilling its aim to inspire storytellers, designers, and animators. The beautifully-presented blog is a general news site for all aspects of design, film, and animation. But, if you're ever feeling stuck or unmotivated, its unique and compelling perspective is guaranteed to help you find your animation mojo again. And, it also features useful tutorials as well as regular commentaries intended to spark discussion about innovation and the creative process. I Want to Be an Animator is the blog of Italian animator Chiara Porri. With over 10 years of experience working in animation, Chiara has an infectious passion for her work, which shines through on this fun animated blog. With everything you need to know to sharpen your animation skills, the blog is full of lessons in animation techniques, video tutorials, and step-by-step guides. The blog also features exercises to try for yourself as a way to master various skills, so it's the perfect resource for brushing up on the basics. On Animation aims to inspire the 'animation masses' by highlighting great animation content every day. And, thanks to well-categorized content for every focus you want to search for, the blog is full of resources which are easy to navigate. As well as daily updates and videos, followers can access exclusive analysis from pros in the animation game. And, with information about useful tools, gadgets, training programs, and industry events, On Animation is great for keeping you in the know. If you're passionate about hand-drawn animation then Traditional Animation is a must-read. As well as news, quizzes and information about everything in the world of 2D animation, there's a lively forum, where visitors can share their opinions and participate in discussions. The blog also features a Traditional Animation Show. Each episode features a video interview with an animation expert followed by a lesson or example of their animation skills. Since it began in 2004, Cartoon Brew has been offering all the new trends, stories, and ideas in the world of animation. The blog covers everything on the animation spectrum. From traditional hand-drawing techniques to the latest visual effects and cutting-edge computer animation, there's something for everyone. It also features interesting articles on artist rights, as well as the latest news from animation giants like Pixar, Disney, and DreamWorks to keep you up-to-date. If 3D animation is your passion, then 3dtotal is the blog for you. When it first launched, it was a straight 3D-resource website. But now, the blog is dedicated to everything in the world of CG art, from texture libraries to training products. Full of free tutorials, news, special features, interviews and galleries, this site offers a great source of inspiration and a friendly learning environment. There's also an active forum and even ongoing contests where you can submit your work. Animation World Network (AWN) is a must-read for all animators. As well as covering a wide range of subjects, from animation technology to licensing news, it's also a great resource for employers and job-seekers. A truly comprehensive site, this should be your go-to for staying up-to-date with animation news. And, the active forum is always worth a visit when you're in need of expert tips and advice. If you love awesome animation, check out these blogs for all the latest news and advice from the top names in the field. And, if you're yet to turn your passion for animation into a career, these blogs might just be the inspiration you need to get started. For more information on animation resources, contact us today!